Opium addict Rajendar usually has to beg, steal or borrow to get his fix but at election season in India’s Punjab province, a packet is delivered to his home in a bid to win his vote. “Like all addicts, I love elections and wish we had them every month,” the 38-year-old says with a twinkle in his eye. Rajendar, a farm labourer who is married with two children, is one of tens of thousands of addicts in Punjab who have earned the northern state an unwelcome reputation as India’s drugs capital. 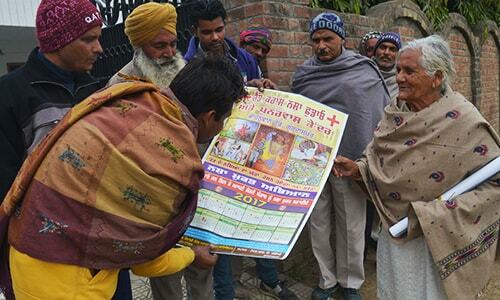 While inducing voters with household appliances, alcohol or cash is widespread in some parts, electoral officials say candidates in Punjab try to woo addicts with free drugs. Punjab is one of five states holding elections in the next few weeks, with the first round beginning on February 4. Indian Prime Minister Narendra Modi and opposition leader Rahul Gandhi have addressed rallies in major towns and cities across the state, trying to sway voters with their oratory. But, as a former chief election commissioner explained, the appeal to voters in rural villages is often at a baser level. “In 2012, when we conducted the Punjab state elections, we suspected the use of drugs during polls… and found drugs were in fact a very serious issue,” SY Quraishi, chief commissioner from 2010-12, told AFP. The results of a government-commissioned survey in 2015 estimated there could be as many as 320,000 “opium dependent individuals” in the state which has a population of 27 million. Heroin was the most commonly-used drug, followed by opium which is legally grown in parts of India under government licence for medical use. In the four weeks since the date of this year’s polls was announced at the beginning of January, the commission says more than 2.63 tonnes of drugs, including heroin and opium, have been seized. That compares with a figure of 2.0 tonnes in Uttar Pradesh which has a population of around 205m and is also holding state elections. Drugs have become a hot button election issue, with opposition parties blaming the current state administration — an ally of Modi’s Bharatiya Janata Party — of looking the other way at the crisis. Candidates promise new laws or heavier sentences for drug offences, their tough-talking pledges warmly cheered at rallies. But Romesh Mahajan, project director of a addiction rehabilitation centre, says campaigners for parties or independent candidates prey on villages by offering them the same drugs they pledge to eradicate. Mahajan said the problem was particularly acute in the period before the date was set for the polls which is when the commission’s monitors start trying to enforce a code of conduct with flying visits. Some voters, particularly women, are identified as wanting money and are subsequently handed cash. Others however are identified as wanting their various addictions fed. “There are people who want alcohol and then there are people who want opium or heroin or pills,” Mahajan told AFP at his centre in Gurdaspur district. Rajendar, who attends Mahajan’s clinic but asked that his surname not be used, said addicts were more than happy to promise their vote to a particular candidate, regardless of policies. “You never care about who’s going to win. As long as they give you your fix, you promise to vote for them. You make the same promise to whoever comes along,” said Rajender who is trying to wean himself off opium. Another addict called Indarjeet, who is trying to kick a heroin habit, said it was “very common” to be offered drugs in return for backing a candidate. “When they get to the village they say ‘take whatever you want, as long as you vote for our guy’ and then they send someone back later” with drugs or alcohol, he said. Police are carrying out spot checks on vehicles at election time to make sure they are not loaded with freebies, including cash, alcohol and drugs. 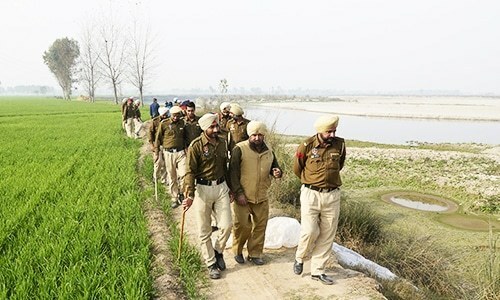 “We are committed to controlling this menace in this area and our officers our working tirelessly,” MF Farooqui, an inspector general of Punjab police, told AFP.